Based out of Windsor, Ontario, Canada, the Coral Medical Health Spa Online Store specializes in supplying skin care & pharmaceutical grade supplements in an educational and fun shopping environment online for men & women in across Windsor, Ontario and North America. 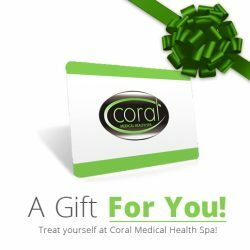 The Coral Medical Health Spa Online Store has an extensive selection of professional skin care products, supplements and packages. We’ve selected a handful of results-oriented skin care product lines and pharmaceutical grade supplements from around the world. We will always be searching out future skin care lines, pharmaceutical grade supplements and new products that are on the technological edge of health, age prevention and proactive skin care.